Let’s face it, the Acropolis tops every list of tourist attractions in Greece that’s ever been written – but that doesn’t necessarily mean it’s wrong to do so. For despite the noise, dust and crowds the Acropolis is an absolute must-see for anyone visiting Greece or interested in the past. While not necessary the most slick and ordered experience, it’s nonetheless top of most people’s wish lists when visiting Greece. What many people don’t experience however is the new Acropolis Museum and to miss it would be a real mistake. Modern, fascinating and full of unique artefacts and information, you really shouldn’t see the Acropolis without also exploring the museum. 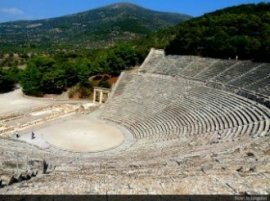 Providing one of the best sights anywhere in Greece, the ancient theatre at Epidaurus is a wonder to behold. 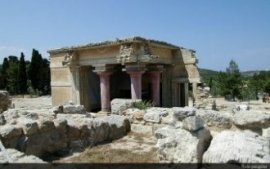 Built to accommodate 15, 000 people and still extremely well preserved, this is just one of many things to discover at an ancient Greek city which dates back well over 2, 000 years. 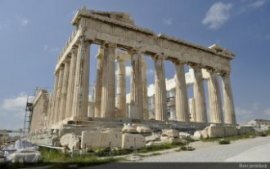 This popular tourist attraction is absolutely vast; set over three levels it offers a startling insight into Ancient Greek life. 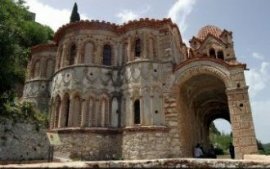 Set atop a beautiful hilltop landscape, the medieval city of Mystras contains a wealth of scenic churches, palaces, streets and houses all topped by an imposing castle which looms large at the very peak of the summit. The most intriguing thing of all is the fact that this town was abandoned sometime around the eighteenth century, meaning visitors get an experience which feels very much like stepping back in time. Don’t miss the attractive monasteries and their fantastic frescoes. One of the most famous tourist attractions in Greece, Mycenae was the centre of the Mycenaean civilisation – that of Agamemnon, Achilles et al – and is now a well-preserved archaeological site in the Peloponnese. 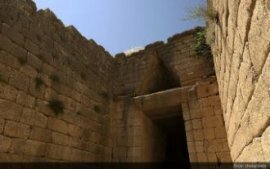 At its peak, Mycenae was one of the most important Greek cities and today many of its wonders can still be explored, including the Lion’s Gate, its fortified walls, the Terraced Palace and of course the famous Tomb of Agamemnon. 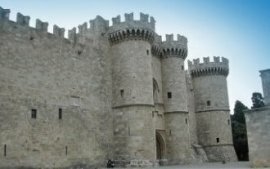 Located on the Greek island of Rhodes, the Grandmasters Palace is a spectacular medieval fortress and former headquarters of the famous Knights Hospitaller – crusading religious warriors known for their power and influence in the early medieval period. Today, this massive medieval castle operates as a museum covering everything from early Christianity up to the Ottoman conquest. Though part-19th century reconstruction, its huge battlements are nonetheless exceptionally impressive and definitely worth exploring. 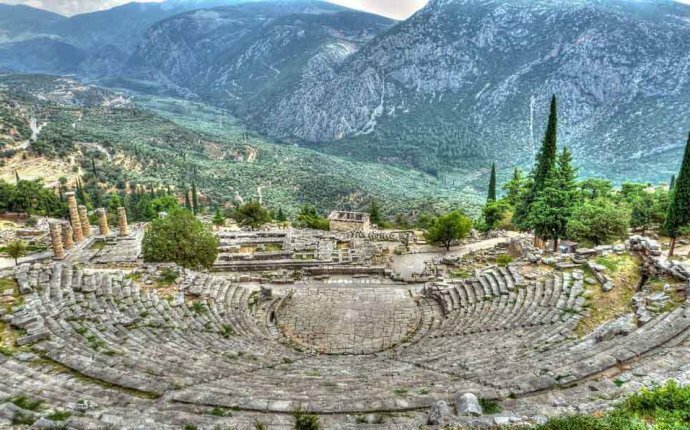 Among the most iconic visitor attractions in Greece, the archaeological site of Delphi is hugely popular with tourists and contains a wealth of famed ruins such as the Temple of Apollo and the Treasury of the Athenians. 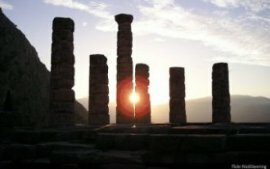 Once considered to have been the centre of the Earth, Delphi takes quite some time to explore in its entirety, but many people take one of the myriad tours available to get the highlights experience. The thriving centre of the ancient Minoan civilisation, Knossos attracts thousands of tourists and plays host to the heady mix of archaeological wonder and enthralling myths and legends - including those of the Minotaur, Icarus and Daedalus. Heavily reconstructed, the most famous of its sights include the Knossos Palace, thought to have been the home of King Minos. Rather than wander aimlessly through Knossos, it’s definitely worth getting a guidebook, a map or even a guide as the place is indeed a labyrinth. Visually, Meteora is simply one of the most startling attractions in Greece – consisting as it does of medieval monasteries perched precariously on towering rocky outcrops which seem to dangle hundreds of feet above the ground. Built to provide shelter from the Turkish forces which conquered Greece in the 14th and 15th centuries, these amazing structures are quite a sight to see and should be on anyone’s Greek bucket list. Often overshadowed, figuratively and literally, by the Parthenon on the Acropolis, the Temple of Hephaestus is nevertheless one of the best Greek temples left in existence. 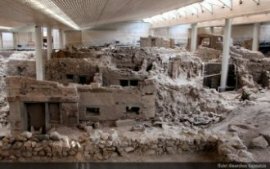 Indeed it’s far better preserved than the Parthenon, less busy and generally set in more tranquil surroundings – making it a must-see entry on the list of tourist attractions in Greece.. If that’s whetted your appetite for all things Greek, remember you can download your free printable Top Ten Sights in Greece guidebook now as well as exploring our full list and map of Greece’s tourist attractions.